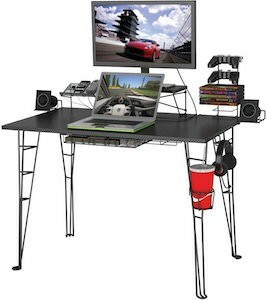 Looking for an awesome desk that can hold you gaming laptop and a screen? If you are then this could be the desk for you. The desk has wire frame legs with a cupholder and a hook to hang you headphones on. 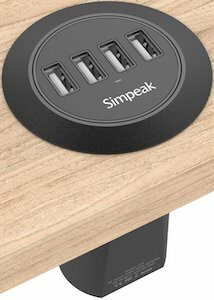 And on the desk you find speaker stands, charging station and a stand for you monitor. And there is a small drawer to so almost everything you can need to get ready for a night of gaming. A desk like this is a great way to get organized and it just looks great to. Come and take a closer look at this Computer Gaming Desk. A lot of people start to prefer standing desks and if you are thinking of something like that then you should have a look at this desk. 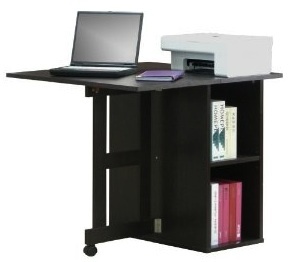 This is a standing workstation desk witch comes in a 3 color versions Cherry (on the picture), grey and oak. You can adjust the height of the work top between 35 and 49 inches so that you get the perfect height for optimum productivity. Below the work top there is a keyboard shelf witch is retractable and then there is two more shelves for other needs like maybe a printer, scanner, external hard drive. 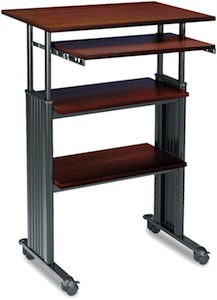 The Safco standing desk comes on wheels so that you can move it around and they have locks to make it a permanent fixture. 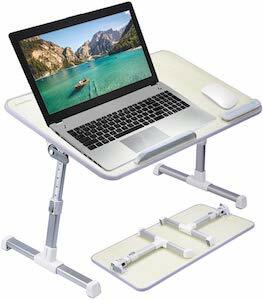 So if you are thinking of doing you computer work standing then have a look at this Safco Standing Workstation Desk. So you need a desk but don’t have to much space. We found the solution for that. This desk has a foldable top. By folding the desk up you get enough space for to work on with your laptop. And when you don’t work you fold it down and you have a small bookshelf (both sides) with a small room for a printer or something like that. Ideal for a small room that also need to do as office or just anywhere where you would like to be able to work. Go have a look at this Folding Desk. We laptop users all know the problem you put your laptop on your lap and try to work. 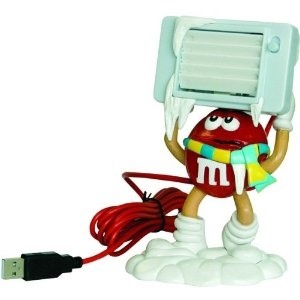 Often it will get pretty hot in your lap and then the touchpad’s they work but not as great as a mouse do they? OK Logitech solved these problems for you by designing the LapdeskN315. 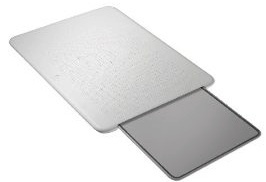 The Lapdesk is a small pad that you can place between your lap and your laptop and it will keep the heath away and it comes with a slid able mouse pad to so now you can use a real mouse while working. Does you work travel a lot and is it almost like you live in your car? Then this shelf can be a life saver. Just slip it over you steering wheel or a head rest if you like to sit in the back and you laptop can sit savely ready for you to use. And of course you don’t have to use it for a computer you can for instance use it for the kids in the back to hold a portable DVD player. The Laptopper shelf is made from durable nylon and is easy to wash and will fold small enough to put under your seat or just in between two seats. And it is big enough to fits a 17″ laptop. Go check out The Laptopper portable shelf and see how much easier you life on the road will be.